Readers, we know this nursery rhyme is far from the truth, especially for the boys. “Sugar and Spice and everything nice” describes any newborn baby to me, and not specifically a little girl. Why is there always a negative portrayal of boys? The nursery rhyme goes on to say that boys are like “Snake and snails and puppy dogs tails.” This is one of the worst nursery rhymes I have ever heard. I am happy to hear that parents today have stopped reading any of these negative images to their children. Children, both boys and girls alike, are so much more. Are girls smarter than boys? Researchers have discovered that girls tend to mature at a faster pace than boys, but what are girls made of? What are little boys made of? My message to you is to express what your children are really made of. The book of Psalms tells us that, “Children are a blessing and a gift from the Lord, and the fruit of the womb is a reward” (127:3). Good News! We need to see our children as God sees them. Anything that they are doing or not doing may be a product of their training. The first challenge is discovering what their gifts are. In order to raise our children to be high performers in their gift, we must equip them with the tools they need. Can we recognize God’s plan for them? Not at first. We must pray with them and over them daily. Pray over yourself as well, so that these gifts are revealed to you. As parents, your assignment is to recognize those gifts, teach, provide and equip your children. Nurturing our children is a part of parenting, but teaching our children is God’s divine plan. The book of Proverbs instructs our children to listen to their father’s instructions and their mother’s teaching (1:8). We are responsible for teaching truthfulness, trustworthiness, self-discipline, self-control, generosity, forgiveness and moral values. “Every good gift, every perfect gift, comes from above. These gifts come down from the Father” (James 1:17). Isn’t this saying that our sons and daughters are heavenly gifts? Wouldn’t you agree that we are entrusted with life’s most precious gift? There are things you enjoy doing. Not only do you enjoy them, you are good at them. You are good at them more than others in your circle. This is because, most likely, it’s your gift. You recognize that there is something that you are passionate about and you can do it (even without training) better than most people. Have you ever said, “If money was no object, I would love to do this or that?” Is there something, or a career, that if money was no obstacle, you would love to do it? And lastly, there is confirmation of others. When someone notices your (or your children’s) talent and tells you how amazing it is, gives gratitude, and you know it came natural for you – it’s probably a gift. Now let’s recognize their gifts. 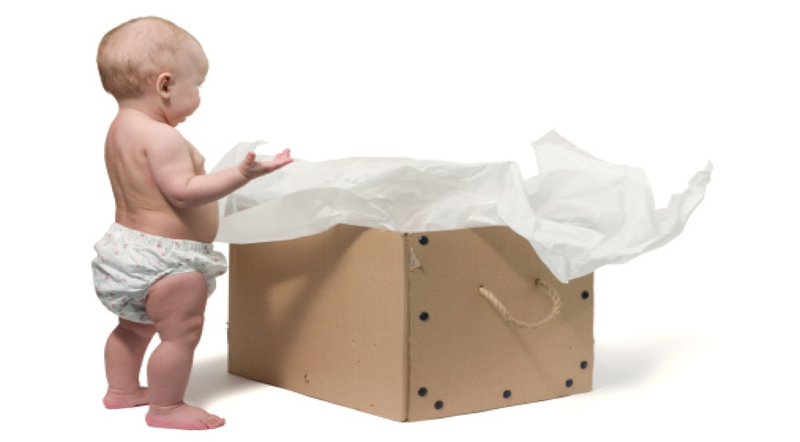 What if I told you that your child will begin to discover his/her gift around the age of two? Does that seem early? Well, it’s not! You will begin to notice their gifts as early as the age of two and, no later than the age of four. Don’t look at it as that dreaded “Terrible Twos,” but a season of awareness. Try looking at them as a gift and not the little pooper that should be potty-trained by now. I suggest you store up energy for this season in your child’s life. It is the time when he or she is showing you who they are. Before you are in this season, however, you should begin to set up a network of supporters: mother, mother-in-law, friend, nanny, or baby sitter to help around the house or give you the occasional 1 to 2 hours of “me” time. Dads can be added to this list as well. You are a team! This is to allow you time to focus and observe their gifts. I have talked about your assignment, discovering your child’s gift, and when to equip and help with the development of their gifts. Time to teach! Let’s also know how important open communication is for the relationship with children who are older. Those children who are blessed to have more than one gift may display one gift later than the other. In this case, the difference is this child may not realize his/her passion until college. Parents ask questions early – this is why communication is one of the critical components of a healthy family. Parents should leave an inheritance to their children, and not just a physical, tangible inheritance. The core of their inheritance is what is poured into them to shape their lives, such as emotional strength, wisdom, political view and religious understanding. The core of their inheritance will create family values, morals, strength in character, wisdom, political views, and social and economic understanding. Our teachings of life in accordance with God’s word will leave an inheritance throughout generations of your family tree. The outcome of these gifts in your children will produce an impact in their communities. Thus, for some of you that are raising teachers of His word, these gifts are of the spirit – remembering how we use the gift is most important. Among my friends and family, I am known for the saying, “Every day is an opportunity to teach.” As parents, we must exercise each opportunity to shape our children in their gifts, and teach them who is the Gift Giver. Let me be honest with you and tell you that both my son and daughter are spiritually and naturally gifted. My daughter, Bianca, was a child with multiple gifts. I recognized them and nurtured all of them, one by one. It was hard for me because I wanted her to choose the for which she had the most passion. She could sing, dance, and act. She loved the arts, and we pursued acting lessons. With her mentoring skills and her ability to help others, she could teach. Because of her drive for answers, she loved researching. She loved helping people and wanted to be a pediatrician. What was difficult for me was that I tried to narrow down the list to find her true gift. This was to allow me to provide, equip and nurture one gift. I could see that she was good in gymnastics, but then she wanted dancing lesson. She was a great dancer (and still is). We tried ballet. She was good in that, but then she wanted to play sports. As I equipped her in her discovery, we began to play soccer at the age of seven. She played both soccer and ran track up until college, and she was good in soccer. I could see the quickness, coordination, and speed. She was one of the fastest on her team and a star athlete in track and soccer. What was her true passion? What drove her? What was her natural gift? As her mother, I can tell you that she was good, but sports were not her gift. God has given Bianca spiritual gifts and natural abilities. I confess that I now understand her assignment is intertwined with the spiritual gifts. Both her spiritual gifts and natural abilities are used to reveal the purposes for her life. She is a visionary and exudes kindness, goodness, knowledge, and administrative gifts. You might not think of these as gifts, but the gift of knowledge gives her in-depth understanding of spiritual issues and situations. She is a teacher and leader and has also been given the gift of administration. What is the gift of administration? It is the gift of leadership and the ability to organize, plan and implement. Now it does not surprise me that her spiritual and natural gifts are one and the same. She’s my gifted academic achiever, teacher and public speaker. The light shines brightest around Bianca because she has the greatest of all gifts, which is love. Now my son Tony, on the othere hand, is a gifted athlete. He played all sports except water polo (he still doesn’t let me live that one down). He played basketball, track, soccer, baseball and football, and was gifted in all of them. He was the California state long jump and triple jump champion for two years in a row in high school (to name a few of his accomplishments). He was extremely athletically gifted and he could have played professionally in any of these sports. I noticed his gift by the age of two, and not only did I notice it, it was apparent to everyone, including coaches. I started him in sports by the age four, as I would instruct those of you who are raising a high performing athlete. I knew my assignment and began to nurture the gift. A parent has to come to the realization that a gift is not something at which you are good, but something at which you are great. Be honest with yourself and your children. Are they good, or are they great? But, when two gifted players come against each other, it allows them to reach their highest potential. It drives them! When gift comes against gift, they both excel and the adrenaline turns on. The true beauty of competitiveness is when gift comes against gift. Only the truly gifted player makes it to the NFL, NBA, or NHL. The body longs to express its gifts with a passion. Understand that the gift is spiritual and the spirit longs within the player. It embodies the person because it is within. My son-in-law, Mike, is also naturally gifted in sports. Spiritual gifts are distinct from natural gifts. His gifts are both body and spirit, which are closely related. The gifts of the body are natural – Mike’s strength, quickness, and hands set him apart from a lot of players. All of his coaches love his ability to learn and have stated that he is extremely “coachable.” There is a light on Mike that I would say is spiritual. When he enters a room, his smile shows you his heart of God. Those that know him know exactly what I am talking about. A few of his spiritual gifts are love, goodness, mildness and fortitude, which are both mind and body and determine his will to play the game. The gift was always in him, but he did not know his passion until he was in high school. He tried out for football and discovered the gift. Although the gift was within, it was dormant until he was put against other gifted athletes. When gift comes against gift, the gift is able to reach its potential. Mike’s size, strength, speed, and hands were a hidden talent that was not revealed until he got onto the field. Family and friends were amazed that Mikey (that’s what we call him) displayed this talent. I saw him play in college, and I did not realize how gifted he was until I witnessed him working out for the first time at his Pro Day. His speed and quickness for a man his size was amazing! Every person has been given at least one gift. Let us embrace our gift(s) and then return it to the Father, who is the true gift giver. In order to return it we must share it with others in love. Paul writes in Corinthians for us to seek the most important gift of all. He emphasizes that the greatest of these is LOVE. I want to encourage you to undertake a special task today – a homework assignment, if you will. Take a moment to observe your child to see if you can recognize their gifts. Share with us what you discover.